They live there. They work there. They vacation there. All people, whether successful or struggling, make your community what it is. Highlight those who are making a difference with your own local podcast. Whether historical or brand new—made by people or made by nature—there are cool places that enhance your community’s character. Get the story behind those places and talk about them in your own local podcast. The Podcast Local podcast features interviews with local podcasters and plenty of tips and techniques to help you create or improve your local podcast. Subscribe to hear all episodes in your podcast app. Discover 10 ways to start or improve your own local podcast with this free guide. Editing can make you sound amazing. Editing can enhance your message. Editing can change the meaning of your message. Editing can distort the truth. How do you do that? Start by listening to this episode, which takes a closer look at ethical issues in audio and video editing and how easy it is to cross the line into telling stories in untruthful ways. Editors, listen to these two stories to understand the impact of audio editing. 99% Invisible. Episode 256. Sounds Natural. *Spoiler alert* I talk about this near the end of the episode. Listen first and then come back for my perspective. Pulling Back the Curtain from On the Media. This is how conversational radio is made. If you love editing, join the Podcast Editors’ Hangout on Facebook. You’re welcome to join whether you edit podcasts for a living or just your own. If you like talking about editing, we want to talk with you! 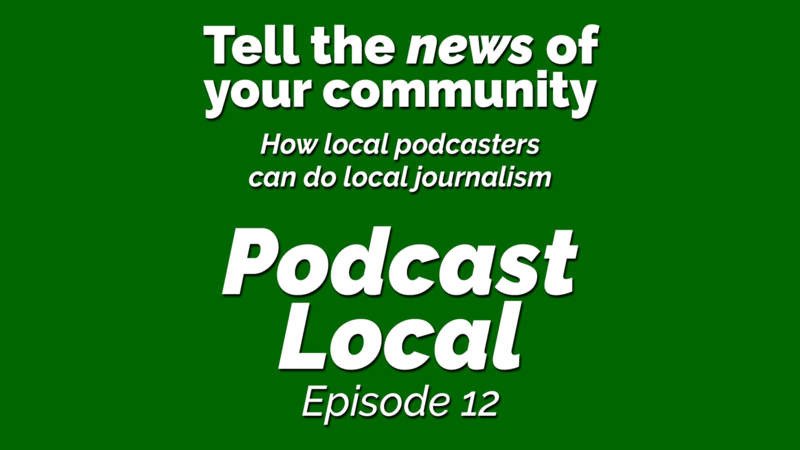 Tell the news of your community (Podcast Local episode 12) featuring journalist and professor Butler Cain talking about principles of journalism for local podcasts. By the way, this is good advice whether your podcast is journalistic or not. Telling true stories in truthful ways. Should podcasters adhere to a code of ethics? 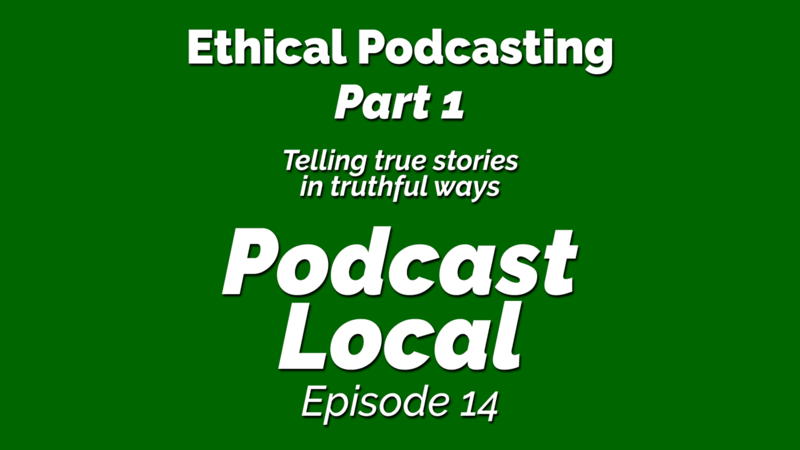 Ethical Podcasting – Part 1 (Podcast Local episode 14). An example of a code of ethics many broadcasters follow. This is the RTDNA guidelines for ethical editing for both video and audio. Continue the conversation in the Podcast Local Community Center on Facebook. Should podcasters adhere to ethical standards? Even if we’re not doing local journalism, we are dealing with information and telling real stories of our community. If we’re not careful, the way we tell those stories could cross into unethical territory. 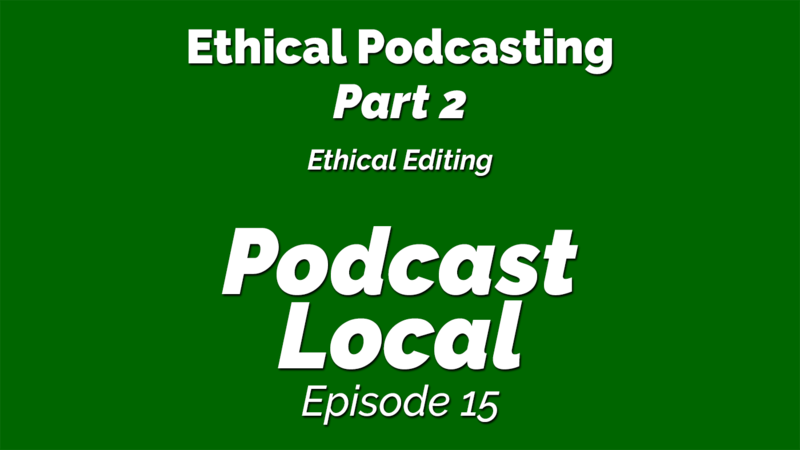 This is the first part of a mini-series on ethical podcasting. After listening to this, there are a few things I’d like you to do before the next episode in this series. Listen to episode 256 of 99% Invisible. Sounds Natural explores the making of nature documentaries. Read the RTDNA guidelines for ethical video and audio editing. Share your perspective on the story I shared in this episode. Share an ethical dilemma you faced and the choice you made (optional, but appreciated). …comes from the Satchel Podcast Player for Android and iPhone. Satchel makes it easy to discover podcasts produced in your hometown. Learn more at SatchelPlayer.com. Are there other local podcasters in your area? You could consider them competition. Or you could make a network, ask them to join you, and cover many more stories in your community. 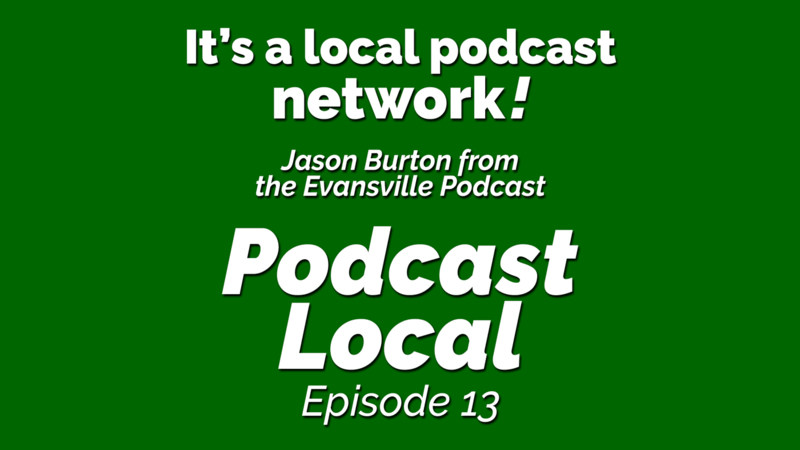 That’s what Jason Burton did with his local podcast for Evansville, Indiana. 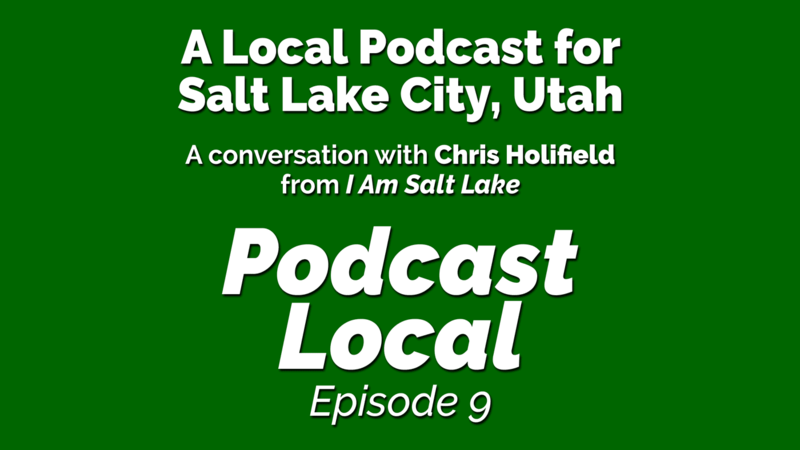 Find out what a local podcast network is like on this episode of Podcast Local. Not every local podcaster wants to be a reporter, but all local podcasters are storytellers. Journalism can help you tell local stories better. When I met Butler Cain, he was running the newsroom at Alabama Public Radio. Today he is an associate professor at the University of North Alabama and is chair of the Department of Communications. Listen and learn principles of journalism for your local podcast. “If it bleeds, it leads” is easy and formulaic. Don’t be a one-and-done reporter. Explore stories from multiple angles over multiple episodes. People cannot be totally objective, but the journalism process should be. Why does this need to be heard? Why invest your time and effort on this story? Find experts with informed opinions, not just people on the street. Realize there are more than just two sides, so cover multiple perspectives. NPR’s Editorial Training site: Hone your craft, on air and online. Local podcasting is an interesting way to tell the stories of your community. Your community is filled with fascinating people, interesting places, and curious things. All of those things are stories. And all of those stories are waiting for someone to tell them. Is there a local podcast for your hometown? Would you like to start one? Discover ways you can tell the stories of your community by listening to Podcast Local. This episode offers insights from 5 conversations with local podcasters. Do you have to live in a large city if you want to make a successful local podcast? If that question is on your mind, listen to this episode. Lee Ball has an important perspective on local podcasting. His community is a small town in the UK called Ramsbottom, and he’s been telling the stories of his community for two years. Why his name sometimes appears to be Lee Nukes? 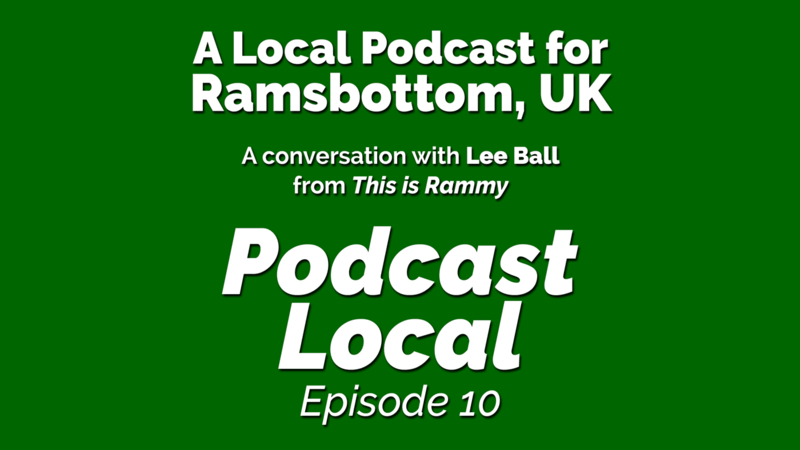 Why Lee Ball decided to start a local podcast for Ramsbottom? Who is the target audience for This is Rammy? What was Lee Ball’s experience using Facebook ads to promote his local podcast? Which podcast media host does he use: Libsyn or Blubrry? What has been his experience with podcast sponsorships? What is better than making money with a local podcast? What tech does Lee use to record, edit, and publish his podcast? What did Lee Ball learned from Daniel J. Lewis? What is Lee’s typical, weekly process for preparing This is Rammy? What insights and advice does he have for YOU when you’re ready to start your own local podcast? 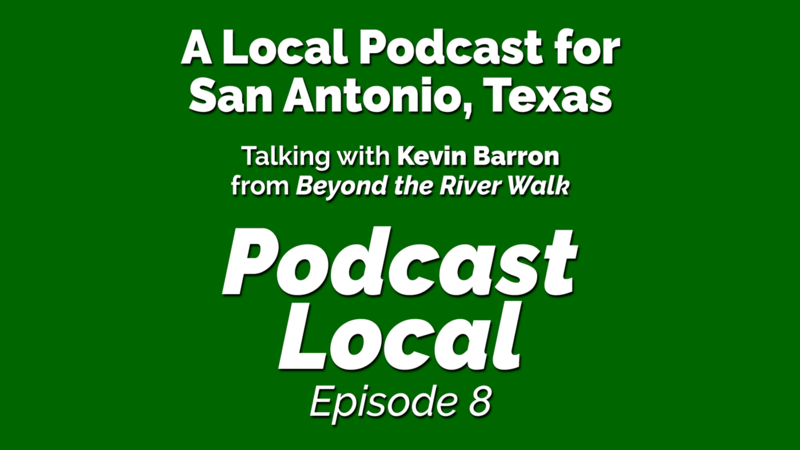 Kevin and Melissa Barron have just launched a new local podcast for San Antonio, Texas. On this episode, Kevin shares his plans and hopes for the new show. Beyond Bourbon Street: Mardi Gras Indians: History & Traditions! 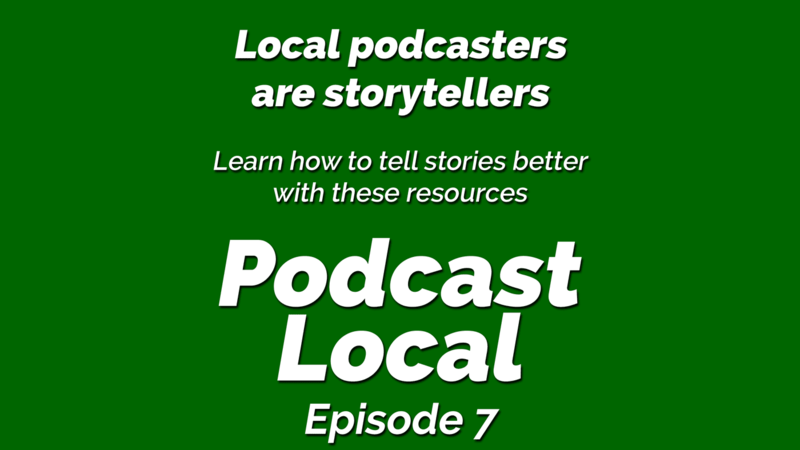 No matter the format your local podcast, you are telling the stories of your community. So how do you become a better storyteller? “Practice” is certainly part of the answer. But before you can practice, you need some knowledge of stories and how to communicate with your voice, music, and sounds. The purpose of this episode is to point you toward resources that will give you the knowledge you need to improve your audio storytelling abilities. Plus, I’ll give you 7 ideas for telling the stories of your community. BONUS: The last resource I’ll mention is a surprise. You have to listen to the episode to discover what that is. Continue reading to get the links to resources mentioned in this episode. How do you use music in your local podcast? Discover the potential controversy of choosing music unwisely. What is the music of your community? Also learn how to make unique theme music. No, it’s not free. But it’s worth it. Then pick up an audio editing technique to help you communicate more clearly. It’s a technical-but-artistic way to mix music grammatically into each local episode. AudioBlocks.com is a subscription-based source for unlimited downloads of royalty-free production music, sound effects, and loops. Download anything you want, and use it in any type of project forever. 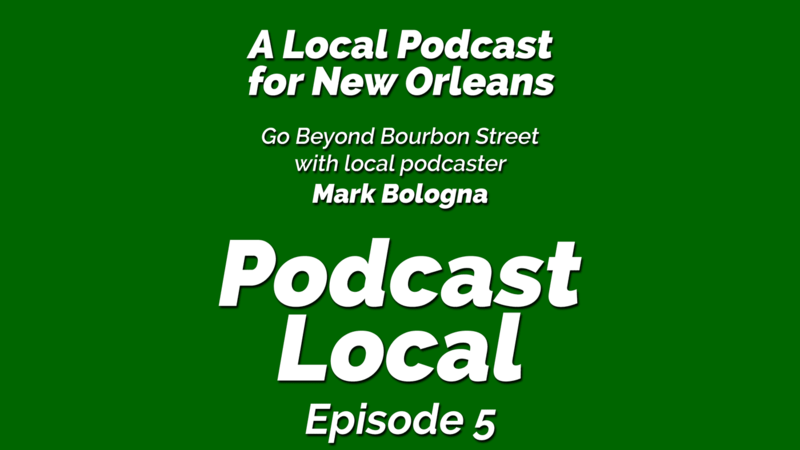 Mark Bologna is the host and producer of Beyond Bourbon Street, a local podcast about New Orleans. In this episode, Mark and I talk about his reasons for starting the show, his process for preparing and producing it, and ideas for the future. We also discuss sponsorship opportunities and strategies unique to local podcasters. How did your community become the place it is today? If you don’t know, find out. 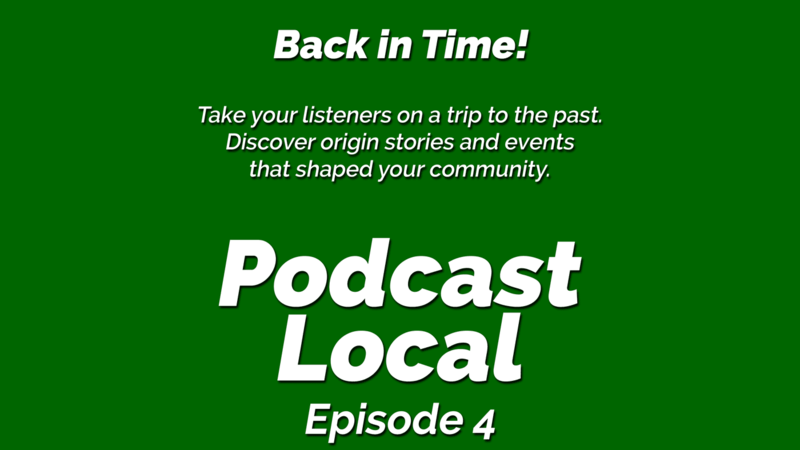 Local podcasters are storytellers, and history is an important way to tell the stories of your community. Episode: All Aboard the New Orleans Streetcar! The student documentary produced in 2003. Listen to the episode before watching to understand the context. Listen now to a conversation with a local podcaster. Beau York is the host of Let’s Talk Jackson, a local podcast in Mississippi. One of the best ways to learn how to podcast better is to listen to podcasters talk about their experiences and production process. Listen as Beau York talks about his journey into podcasting, the pronunciation of his podcast network, and the Satchel Podcast Player that has special benefits for local podcasters. This episode offers a glimpse into my background as a podcaster and things that influenced me to explore local podcasts and local podcasting. Something happened, though, before I was able to finish this episode. 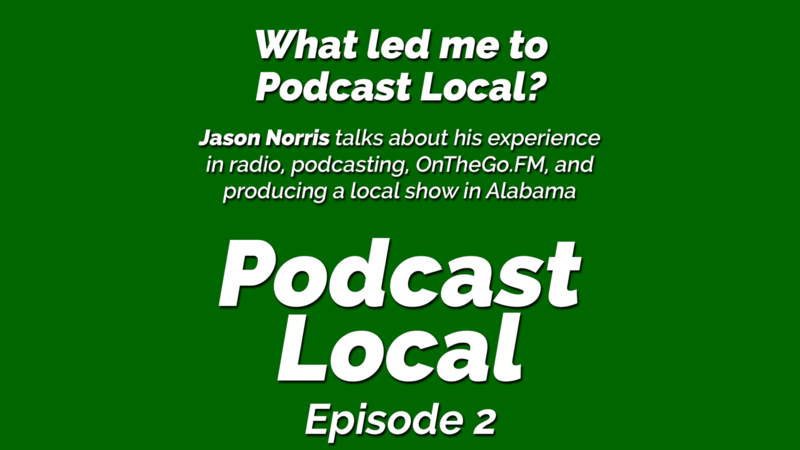 It’s an area of podcasting that is growing, and this show is all about local podcasting and local podcasters. 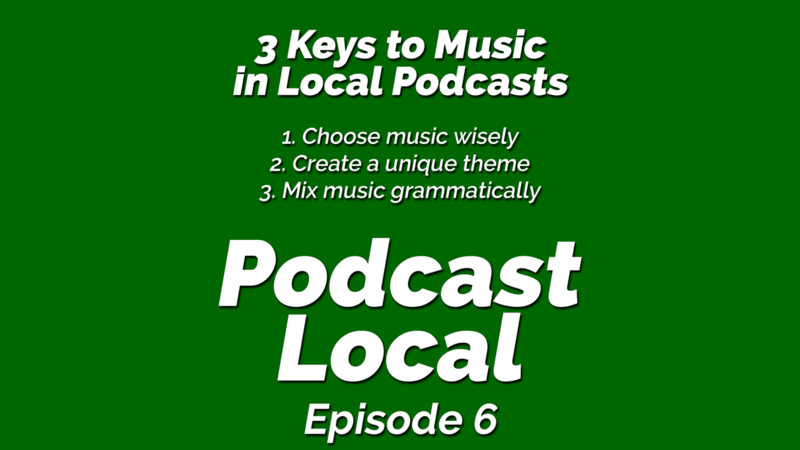 This episode will introduce the concept of local podcasting, including an important definition to guide you in creating your own local podcast. 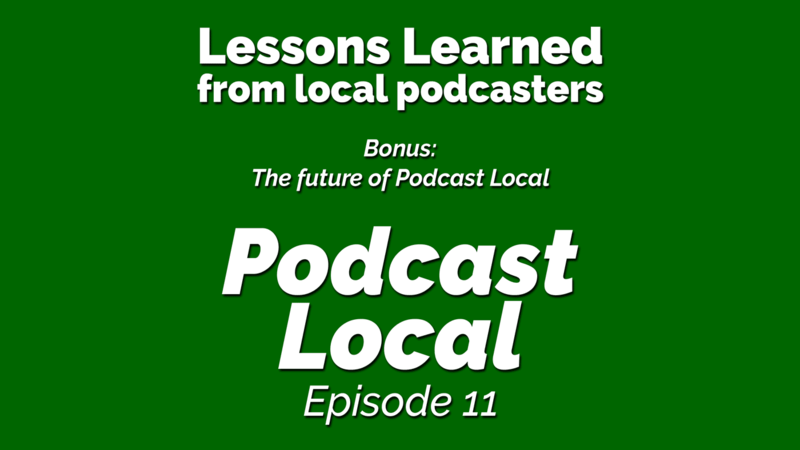 Also discover the heart of local podcasts. This is the benchmark by which you can judge the quality of your own local show.